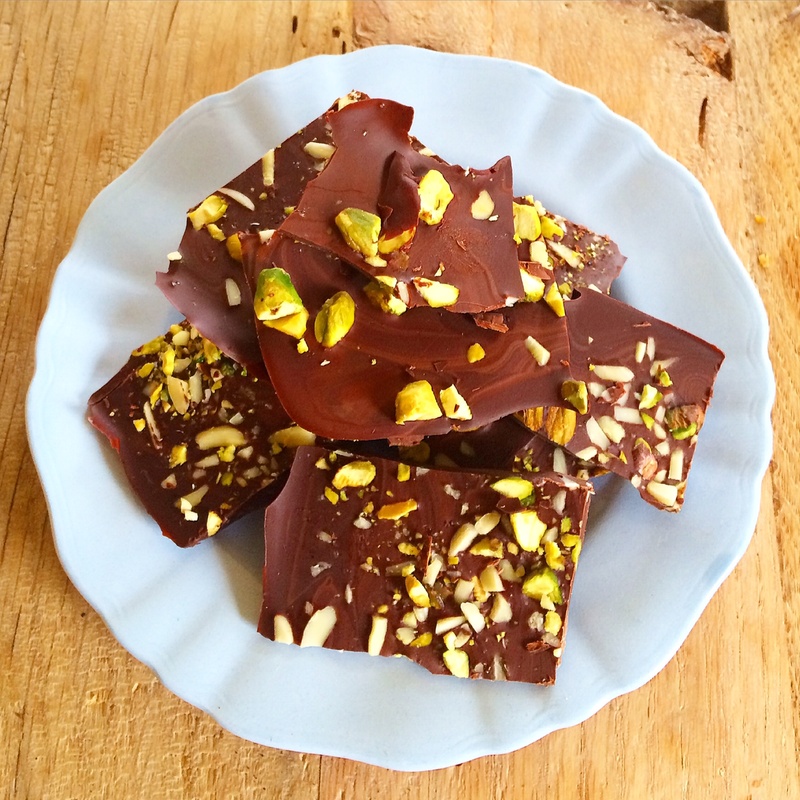 This very simple dark chocolate bark is a perfect mix between sweet, salty and crunchy. Gently melt chocolate over very low heat until it is smooth and runny. Pour into a shallow baking dish, lined with baking paper and smooth out so that the chocolate is about 1/4 inch thick. Sprinkle evenly with nuts and sea salt. Place in the freezer for 30 minutes, until the chocolate is set. Enjoy! Reblogged this on Thats why her hairs so big; its full of secrets. Almonds, sea salt, chocolate??? Sounds like a perfect combination to me!